The trials and tribulations of acne are endless as this skin condition can be extremely difficult to tackle. And, when it comes to acne, there is more than what meets the eye. There are various types and stages, and having proper knowledge about these is essential for effective acne treatment. Acne is an exceedingly common long-term inflammatory skin condition that occurs when the hair follicles in your skin get clogged with elements like dead skin cells, oil, and other impurities. 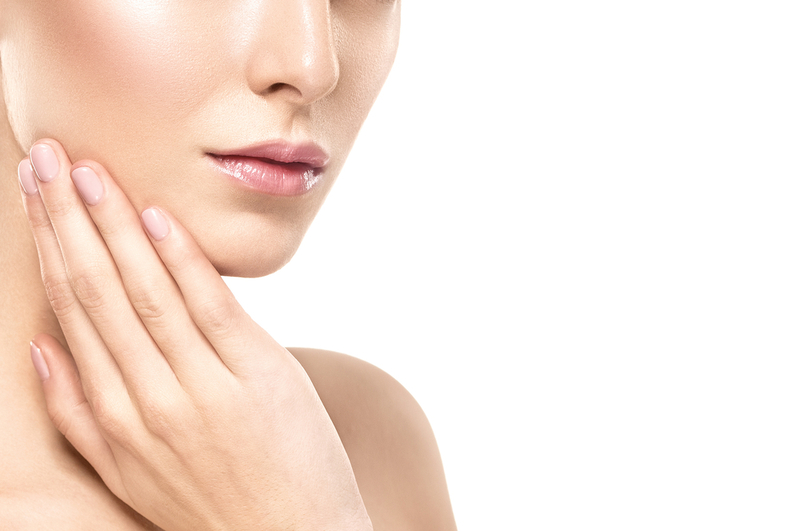 While acne usually occurs on the face, it may also affect different body parts like the neck, shoulders, and back. A variety of factors like genetics, hormones, unhealthy lifestyle habits, lack of proper skin care, improper diet, and even certain medications, can put you at a higher risk of developing this skin disease. Acne Vulgaris – If you experience frequent acne breakouts, then there is a high chance that you are suffering from this particular type of acne. This condition tends to progress into more serious forms of acne, which is why it is best to consult with a specialist to get a diagnosis. As early detection can save you from a great deal of discomfort. Cystic Acne – This is a severe form of acne, in which you would experience rather serious inflammation. The blemishes caused by this type of acne tend to be quite big and cause a great deal of pain. This acne type can cause long-term damage to the health of your skin and it usually takes weeks to go away. Comedonal Acne – This type of acne occurs in the form of blackheads, whiteheads, and milia. It is more likely to affect you if your skin has open pores. Acne Rosacea – This type of acne only occurs on the face and usually affects those who are above the age of 30. In this type, you will experience bumpy and inflamed pimples. Nodular Acne – This, again, is a severe acne type that can cause your skin to break out on a regular basis. Also, the breakouts caused by nodular acne tend to be large and the resulting blemishes can be quite deep. Listed below are the 3 stages of acne in terms of severity. Mild – This is the stage in which you will experience a few acne breakouts. At this stage, it is fairly easy to tackle the condition. You may just require a store-bought anti-acne product to reduce the breakouts and a pimple marks removal cream to reduce the visibility of the pimple marks. Moderate – At this stage, you will find that the breakouts are quite prominent, and your skin is plagued with papules and pustules. If your acne is in the moderate stage, then you may find it difficult to bring the breakouts under control just by using over-the-counter products. Severe – In this stage, you will experience severely large blemishes that are red and highly inflamed. This stage of acne can be extremely painful, and the breakouts tend to occur frequently. When it comes to treating this skin condition, the right treatment can make a world of difference to the frequency and severity of acne. While store-bought acne products continue to be the most popular way of tackling this skin condition, a variety of cosmetic procedures have also made waves in the beauty industry thanks to their efficacy. They reduce acne and also the prominence of pimple marks, the unsightly spots that make your skin tone appear uneven. Kaya Clinic, a leading skin care clinic offers a wide array of anti-acne products such as Kaya skin resurfacing Advanced Acne Care Kit and also various cosmetic treatments like dermal peels. The Acne Care kit consists of 4 products which are the cleanser, toner, nourisher and spot corrector. Made with skin-benefiting ingredients, these products can help promote your skin’s health and tackle problems like clogged pores that often result in acne breakouts, whilst gradually reducing the visibility of the acne scars. The type of acne treatment that is best suited for you would depend on the type and severity of acne that you experience. So, book an appointment with a specialist at Kaya to get a diagnosis and know about the treatment that can help you get relief from this unsightly and unpleasant skin condition. Tired of finding the easiest way to have permanently smooth and hair free skin? One chore that every person has to indulge in month after month is ensuring that the skin remains hair free. While there are several ways for you to go about this, laser hair removal treatment is one that you will definitely find to be the ultimate solution. Every single person out there wants to look their best and unwanted hair is a problem that is often faced by all. One permanent way to deal with it is through laser hair removal treatment. The treatment will take care of unwanted hair once and for all. You wouldn’t have to deal with the hassle of getting the hair removed every month once you get the laser treatment done. Laser treatment comes with a lot of benefits. All you need to be cautious about is getting an FDA approved technology laser treatment. The procedure targets the follicles to slow down the body hair growth from the root in a few sessions. Just be patient for a few weeks after your laser treatment to see a difference and attend all the sessions as scheduled. Most importantly, you won’t have to ever deal with ingrown hair again. The usual hair removal treatments can be an extremely painful ordeal for most people. Kaya offers laser hair removal treatments that are FDA approved. In just 6 sessions, you are sure to have smooth skin that is hair free for life. You never have to worry about what clothes you can wear when you have a permanent hair removal solution like laser treatment at hand. First, the pattern of growth, hair type, and skin type are studied. This helps in finding the best possible solution for you. 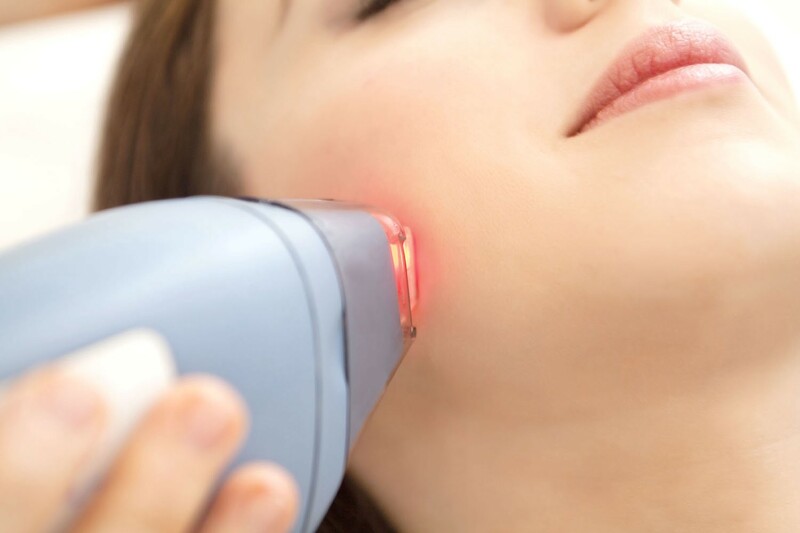 Next, a small area is subjected to the treatment to check how efficient the laser treatment is on your skin. This helps make sure the treatment is suitable to your skin type and defines how the rest of the treatment must be done. The number of sessions, the duration between session is decided at this stage of the laser hair removal treatment. Once they find the perfect laser treatment for you, a certified laser therapist administers the laser treatment. The entire process is performed under the direct supervision of a dermatologist. The laser treatment for hair removal cost depends on the parts you want to get it done. You can have a look at Kaya Skin Clinic laser hair removal reviews to know how the treatment is received by others. Kaya uses the latest of the Permanent Hair Removal Laser hair technology in the market. The hair-free gentle touch laser hair reduction uses the Nd-YAG laser which is extremely safe for Indian skin. With insight into how the hair grows in our body, they have curated sessions to optimize the results. There are three phases in which hair grows: Anagen, Catagen, and Telogen. It is the first growth phase that is targeted the most. In most cases, 6 sessions are sufficient. However, since the growth pattern varies from person to person, there may be a few follow up sessions that are required. Kaya offers complete support from experts when it comes to hair removal treatment. All you need to do is be patient while going through the sessions and enjoy the optimal results once it is completed! Are PRP And Hair Transplant The Same? There are two treatments for hair regrowth: PRP and hair transplant. Both of these treatments are effective at different stages of hair loss and cannot be used for every hair problem. The difference between the two should be understood in detail to fully understand how to manage hair loss and how to ensure hair growth. Many people confuse that PRP treatment and hair transplant can be used by anyone regardless of the hair problem that they are suffering from. However, that is simply not the case. The two hair restoration treatments are separate and should be treated as such. People have different hair loss problems. While the problems for some people include gradual loss of hair, others start developing bald patches in certain areas of their scalp. The methods used to solve the problems posed by each are different. Understanding the procedure of PRP and hair transplant is going to help you fully know what you need at which stage of hair loss. 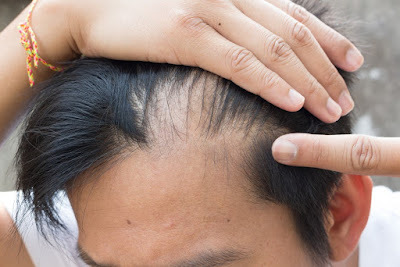 ● Both the hair transplant and PRP have a recovery period that is short. Although you do need to take care for a few days following the treatments, you don’t need to take a lot of time off from work. ● PRP and hair transplant method will take over a few months to show visible results. You might experience hair loss after you get the treatments but that is normal. The hair growth will eventually begin. ● You cannot start with normal activities right away when you get either the hair transplant procedure is done or the PRP. The reason is the increase in blood flow and blood pressure. ● The treatments may need more than one session to be completed. The number of sessions will depend on the individual case. ● PRP is used for treating hair loss and hair thinning. If you have started to experience thinning of hair where you see your hair all over the place, then PRP is going to be recommended. However, hair transplant is recommended usually when you are having bald patches due to hair loss caused by genetics or other reasons. ● The hair regrowth by hair transplant might take longer than the PRP procedure. The reason is that with a hair transplant, the hair follicles from another area are placed in other regions. They take time to grow. With PRP, the hair root is the target and so it helps strengthen the hair that is already there. This can take lesser time to show results. ● The procedures for both of them are different. PRP uses the technique of drawing blood from you which is then injected in your scalp for hair growth and hair strengthening. The procedure of hair transplant uses FUE or FUT transplantation methods to take hair from the donor area and place the follicles in the bald areas on your scalp. ● The time it takes for the procedure to complete differs. Each session of PRP treatment can take one to two hours to complete. While for hair transplant, it can take several hours depending on the size of the balding area. Hair transplant is more time consuming compared to PRP and can take a long time to complete. Sometimes the hair transplant and PRP treatment can be combined together. When new hair is being transplanted, the PRP might help for the hair to grow faster and thicker than usual. However, this is not always possible and only after thorough examination from a surgeon, you can find out if that is possible. Kaya Clinic provides you with both the PRP treatment and the hair transplantation treatment. Want detailed information about both the PRP and hair transplant procedures? You can visit Kaya and get all your questions answered by experts. You can easily find out about Kaya hair transplant cost, the expectations from each procedure, and how Kaya approaches hair loss. This will enable you to make a decision to tackle hair loss the right way. Kaya can help you get back your hair and ensure that the hair that grows will be stronger from the beginning. Balding is becoming more common due to a lot of reasons but people are still wary of hair transplant. Men and women are becoming apprehensive about this procedure as there is a lot of confusion looming around the subject of hair transplantation. Dr. Anuj Saigal from Kaya Clinic clears all your doubts about hair transplant procedure and what hair transplant is all about. Hair transplant treatment is becoming popular for being an excellent solution for people who are balding. Before deciding about getting a hair transplant, it is important that you understand what hair transplants are all about. Dr. Anuj Saigal is an experienced dermatologist who specializes in hair transplantation procedure. He has 5 years of experience in hair transplants and has performed over a thousand hair transplants till date. He works at Kaya which is a leading provider of hair transplant treatment among other hair and skin care solutions for men and women. Kaya is known for its wide range of effective solutions. Q: Can Hair Transplant Method Stop Balding Altogether? A: Hair transplant can help grow hair from places where you are balding. Q: Can Hair Transplant Be Performed Only On The Scalp? A: Hair transplantation can be done for shaping eyebrows and can be used for expediting hair growth in the beard area. Q: Can Hair Transplant Be Done By Anyone? A: You need to be the right candidate to get a hair transplant. There are many factors that need to be considered before you are eligible for hair transplant. Q: If The Hair Loss Is The Result Of Hereditary, Can Fuller Hair Be Achieved Through Hair Transplant? A: Yes it is possible for your hair to grow back even when you are experiencing hair loss due to genes. Q: Does Hair Transplant Affect The Scalp’s Natural Biosystem? A: No it does not affect the natural biosystem of your scalp. Hair transplant is a safe procedure. Q: Is The Hair Transplant Surgery Painful? A: It is a painless procedure since local anesthesia is administered before the procedure begins. Q: Can People Who Are Between 25 And 28 Get Hair Transplant Surgery Done? A: It is safe to do so bit the scalp will be examined to ensure that they are the right candidates for the transplant procedure. Q: How Many Grafts Are Required? A: About 1500 to 4000 grafts may be required depending on the balding area. Q: How Long Do The Hair Regrowth By Hair Transplant Results Last For? A: Hair transplant should last forever as your hair will continue to grow as it normally does. However, you can experience shedding of the transplanted hair which will grow back eventually. Q: How Long Does The Procedure Take To Complete? A: It can take from 6 to 8 hours to complete although it depends on how much hair needs to be transplanted. Q: Does Scarring Occur When Hair Transplant Surgery Is Performed? A: Minor crusting can occur but this will go away within a few days. You will not see any visible scarring due to hair transplantation. Q: Does Hair Transplant Look Natural? Q: What Is The Post-Treatment Care Of Hair Transplant? A: You should abstain from the following for at least 3 weeks following your hair transplant procedure: smoking, drinking alcohol, exercising, oiling your hair, swimming, and applying hair color. Q: Can You Wash Hair After Getting A Hair Transplant? A: It is advisable not to wet your scalp for at least 3 days following the hair transplant procedure. Q: How To Choose The Best Clinic For Hair Transplant? A: You should consider the surgeon who will be performing hair transplantation. He should be qualified with adequate experience in hair transplants and should be able to show you successful hair transplants. The clinic should have all the amenities and the proper infrastructure. A: Kaya uses the best and latest technology to perform the hair transplant procedure to give you the best results. It has expert dermatologists who perform the surgery. Q: What Does The Kaya Hair Transplant Cost? A: It depends on the number of hair transplant sessions required and your individual case which can be different to another person. Q: Can Balding Be Prevented? A: If your balding has not reached serious levels, then topical solutions and oral solutions can be provided by Kaya. Other treatments can be recommended based on your case. A hair transplant procedure can be the answer to your balding or hair loss woes. But to get the best results, you need the best clinic to administer the procedure. Choosing a clinic that specializes in hair transplantation procedure is vital for getting the hair transplant that will ensure your head full of hair becomes a reality. One of the best ways to grow hair from balding areas is getting a hair transplant. There is more than one way of getting a hair transplant although this depends on the clinic as well. A hair transplant method can be chosen based on the area of baldness and a few other factors. The benefit of getting a hair transplant is that your hair is what is being transplanted to another area where balding is occurring. This ensures that your hair grows naturally as it would in the other areas. Hair transplant is a long-term solution which lasts longer than other solutions. When you are starting to have bald patches in your scalp and when your hair is thinning naturally, getting a hair transplant is a good idea. If you have experienced hair loss due to some kind of injury, then the chances are that you can get a hair transplant treatment. The hair transplant clinic is also important as it determines the quality of the treatment given along with the effectiveness of the procedure. Kaya Clinic provides you with hair transplant treatment that gives you results whereby your hair grows for a lifetime. You can then flaunt your natural hair and get the confidence you lost. Kaya’s approach to hair transplant consists of three steps. Your condition must be fully understood first and Kaya ensures that through tests, the underlying problem is found out. Only then can the right course of treatment be given to you when it comes to hair transplant. Scalp analysis and folliscopy are the two tests that are performed to find out the condition of your scalp and the density of your hair strands. The Kaya hair transplant cost will be determined at this time too depending on all the factors. Once the diagnosis part has been successfully completed, Kaya’s experts will start treating you. The Follicular Unit Extraction for Hair Transplant or Follicular Unit Transplantation method is used if you are a good candidate for hair transplantation procedure. Depending on the method being used, you are given anesthesia and the donor area hair is removed accordingly. You may be given medications to help expedite the recovery process. Once you have completed the hair transplant session, you need to take care of your scalp. The doctors of Kaya will tell you how you can take care of yourself and heal fast. You can be called back for follow-up visits to see how your hair growth is taking place. You will be given clear instructions about how you can ensure that stronger, thicker and better hair can be grown from the transplanted area. When you have hair regrowth by hair transplant at Kaya you are sure to get the best facilities possible. Kaya uses the latest technologies and tools to ensure you have a fantastic experience. The hair transplantation procedures are safe and ensure that you get minimal scarring. Kaya’s surgeons are highly experienced so they prep you for what to expect and everything else you need to know about the hair transplant procedure. Want proof that Kaya’s hair transplantation treatment works? Then read the Kaya hair transplant review by people who have had hair transplantation done from Kaya. They will tell you their experiences and then you can make up your mind. You can get a free consultation with Kaya’s experts if you have any specific queries or apprehensions regarding hair transplant. Acne prone skin type can be a pain to deal with. This type of skin is susceptible to regular unsightly breakouts that take weeks to heal and often leave prominent scars and marks behind. And, just using over-the-counter products for acne treatment will not put an end to the trials and tribulations of dealing with an acne prone skin type. This is the skin type that is prone to acne, an inflammatory skin condition that can be either be in the form of a zit, blackhead or whitehead. There are various factors like genetics, lifestyle and environmental factors that can make your skin more prone to acne. And, while acne treatment can undeniably give you relief from the recurring breakouts, for long-lasting results it is best to incorporate skin care habits in the daily routine to lessen your skin’s proneness to breakouts. If you have this type of skin, then you should take proper precautions to ensure that it does not get irritated. From using the right type of skin care products to treating your skin with beauty facials, you should take proper measures to ensure that your acne is not triggered or aggravated. Using right grooming products like primers and foundation that is specifically formulated with ingredients suitable for acne-prone skin type becomes essential. And, so does following a skin care routine that prevents unwanted factors from triggering acne breakouts. 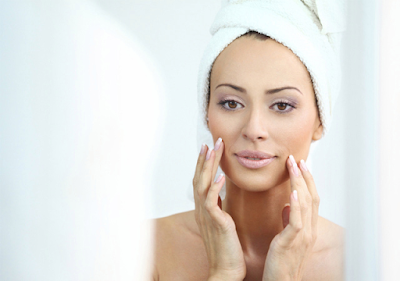 Following a skin care routine that is specially designed for this skin type can go a long way. It can help control excessive oiliness or dryness, reduce acne, close open pores and also help your skin look its absolute best at all times. To design a balanced skin care routine that is best suited for your acne-prone skin type, you can consult with skin care specialists at Kaya. They can help you pick the right type of skin care products, makeup products and also inform you about the ingredients that you should be on a lookout for while buying grooming products. For your acne prone skin, cleansers that contain salicylic acid are highly recommended. Similarly, moisturizers that are made with anti-acne formula and can keep the skin well-hydrated are considered to be the best options for your skin type. Choosing Kaya Pure Pore Clear Skin Cleansing facial is one of the best things you can do for your skin. More effective and fast-acting than the over-the-counter acne products, this beauty facial is designed specifically for your acne prone skin. It targets the problem areas by removing bacteria and accumulated impurities from the skin pores. This simple-yet-powerful procedure can promote your skin’s health and keep troubling breakouts at bay. There are numerous ways in which this beauty facial can benefit your skin. It mainly involves cleansing, masking, and hydration, three essential procedures to clear up the pores and improve the skin’s overall condition. Thorough cleansing provides relief from inflammation and gets the gunk out of the skin pores. Once done, a gentle serum will be massaged all over the skin to stimulate a healthy circulation of blood and promote the cell regeneration process. Post the cleansing process, a skin-rejuvenating mask that contains salicylic acid will be placed on your face. The masking step helps control greasiness and unclogs the pores. After this mask is removed, your skin will get treated with a deep-cleansing sea mud mask. This mask’s real strength lies in its ability to absorb excess oil from the skin. The last step in this wonderful beauty procedure involves hydration. A moisturizing serum will be applied to your skin to help retain moisture and provide a glow to the skin. This serum is enriched with an active Porphyridium complex and zinc oxide that can keep oiliness in control, prevent flakiness and reduce the visibility of the pimple marks. When you are troubled with acne prone skin, then do not just limit yourself to generic store-bought products, as they may further exacerbate the problem. Fix an appointment at a trusted skin care clinic like Kaya clinic and get a beauty facial done that can help improve the state of your skin. Cheers to beautiful skin!